The South African Party (SAP) lost its leadership of the government in 1924 when it lost the election and the Pact came into power. In other words, the SAP became the opposition party while the Pact Government (NP and LP) ruled the country. Let us go back and look at the earlier history of the SAP. 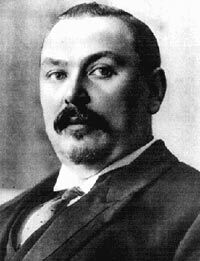 After South Africa was declared a Union, Botha and his followers won the first election in September 1910. His supporters were not yet formally organised into a political party, so it was decided to meet, join forces and form what became known as the South African Party. The SAP was founded in the Ramblers Hall in Bloemfontein in November 1911. It was formed by the joining together of three white political groups, namely the South African Party of the Cape Province (formerly the Afrikaner Bond), The Orangia Unie of the Orange Free State and the Het Volk group from the Transvaal. The first government of the Union of South Africa was thus formed by the SAP with Louis Botha (who had previously been a general in the Anglo-Boer War) as the first prime minister. The new SAP soon published its manifesto, which laid down its main aims and principles. The most important aim of the SAP was to unify all the elements of the country's population into one national entity, while developing the Union as a stable and essential part of the British Empire. They still allowed for constitutional development of South Africa within the British Empire, but were not in favour of any changes to the constitution. In 1912 the SAP lost popularity as a result of an internal split between J.B.M. Hertzog and Louis Botha, both of whom were members of its leadership. Because of this disagreement (about whether or not South Africa should retain close links with Britain) Hertzog left the cabinet, but he stayed on as a member of the party until 1913. In November 1913 South Africa's white politicians assembled in Cape Town to discuss the split that was developing in the SAP. Hertzog and his supporters grew angry and walked out of the congress, after which he and his republican-minded followers founded the National Party (NP) in 1914. At the general elections in 1915 the SAP was clearly losing popularity, but won enough seats to remain in power. Botha died in 1919 and General Jan Smuts became the leader of the SAP and the second prime minister of the Union of South Africa. The SAP appeared to be losing the support of the white electorate and this was shown in the results of the next general election which took place in 1920: the SAP won 41seats and the NP won 44. Because the result was so close, neither party could form an effective government. Smuts made an attempt to form an alliance with the NP but these efforts failed. The SAP was not prepared to accept the NP's desire to move towards an independent republic, free of British ties. Smuts then turned to the Unionist Party and after negotiations there was a merger between the Unionists and the SAP. This strengthened the SAP considerably (although only temporarily) and Smuts decided to call an early election for 1921. With its new support the SAP won easily, but there was trouble ahead in the form of an economic slump. In 1921 there was the threat of a very serious economic and industrial crisis in South Africa and the Smuts government lost support, especially among English working classes in Johannesburg, Durban and Cape Town. This meant that the Labour Party (LP) grew stronger. Afrikaans-speakers who supported the SAP felt estranged as a result of the SAP's merger with the Unionists and many of them decided to turn to the NP. Indeed, the NP became so strong that eventually Smuts was forced to resign as prime minister - he realised that the SAP did not have enough support to continue to run the government. The SAP lost the 1924 elections to the combined strength of the NP and the Labour Party, who had formed a pact. The Pact Government then took over and the SAP became the official opposition party. The Pact also won the 1929 election and was still in power during the Great Depression, which lasted from 1930 to 1932. As the depression deepened the SAP begged Hertzog to leave the gold standard for the sake of the country's economic recovery. He eventually agreed and in 1933 South Africa left the gold standard, after which the economy improved, but the white electorate was unhappy and the Pact had lost a great deal of support. In 1933 Jan Smuts suggested to Hertzog that the NP and SAP should join forces and form a coalition. This was agreed upon and the United Party was established, in which the two parties became one, each with equal status in the new UP government. It was decided that Hertzog was to be the leader of the UP with Smuts as his deputy The SAP was disbanded and ceased to exist. As we shall see, the NP was later revived and eventually grew so strong that it put the United Party out of power in 1948. • Ferguson, S (man. ed) 1998. Collins Pocket English Dictionary. Scarborough: Harper Collins. • Liebenberg, B.J. & Spies, S.B., eds. (1993). South Africa in the 20th Century, Pretoria: Van Schaik. • Potgieter, D. J. (ed) 1974. Standard Encyclopaedia of Southern Africa MUS ”“ POP. Cape Town: Nasionale Opvoedkundige Uitgewery. • Potgieter, D. J. (ed) 1974. Standard Encyclopaedia of Southern Africa POP ”“ SLA. Cape Town: Nasionale Opvoedkundige Uitgewery. • Potgieter, D. J. (ed) 1974. Standard Encyclopaedia of Southern Africa TUR ”“ ZWE. Cape Town: Nasionale Opvoedkundige Uitgewery. • Saunders, C (ed) 1989. Reader’s Digest Illustrated History of South Africa, The Real Story. Cape Town: Reader’s Digest.